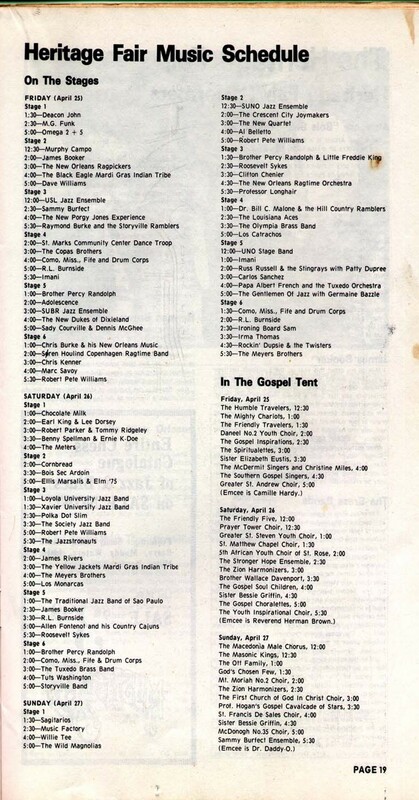 1975 was the last year that the Festival would run for only one weekend. The Heritage Fair ran from Friday to Sunday, but the Evening Concerts ran Wednesday to Friday. Special thanks to Chicago Mike for this vintage info!